What was supposed to be a strategy meeting for the 2019 Lok Sabha elections, turned out to be a grievance redressal session at the Legislative Party meeting called by the Congress in Karnataka on Sunday. Lawmakers at the CLP listed out projects that were not getting cleared in their constituencies by the coalition government led by HD Kumaraswamy. Most of the lawmakers complained that development works in their constituencies were not moving ahead, news agency PTI quoted Congress sources. ST Somashekhar, representing Yashwantpur, was upset that mining projects in his constituency, were rejected on technical grounds, but leaders of the Janata Dal (Secular) got the same contract without any hassle, said sources. Most lawmakers reportedly echoed his statement. "An MLA said local police did not allow him to install Ganesha statue at public places during the Ganesha festival," said sources. The lawmaker apparently went to the extent of saying that he would prefer to resign as "it was becoming difficult for him to continue as a member of the House." Two Congress leaders, Bhima Naik and Anand Singh, from Ballari fought over their dominance in the district and interference by each other in their respective constituencies, said sources, and senior leaders had a tough time calming them down. Former chief minister Siddaramaiah and deputy chief minister G Parameshwara assured the lawmakers that they would coordinate with the government to iron out their issues. 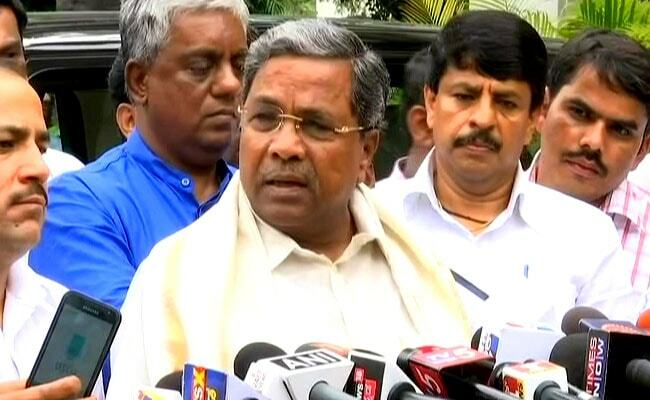 Siddaramaiah also cautioned the lawmakers against "Operation Kamal" of the BJP aimed at "poaching on the Congress lawmakers." He even reprimanded leaders for leaking information to the media. "The MLAs have the grouse that whatever promises they had made to their electorate before elections were not being fulfilled. Their grouse is valid. We will look into it," said the Congress deputy chief minister G Parameshwara. JD(U), the coalition partner in Karnataka, has reportedly asked senior Congress leaders to defuse the infighting among their lawmakers.